Become a transformer in Minecraft! 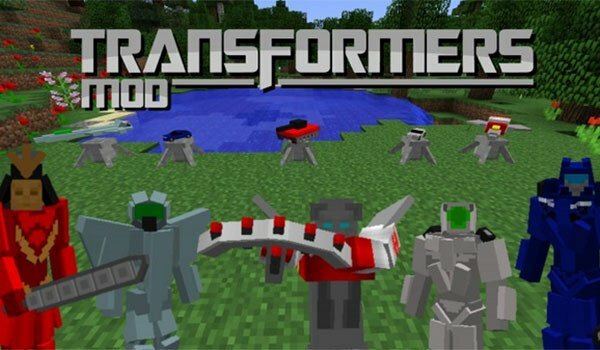 Transformers Mod 1.7.10 is a mod that, As you can imagine, this mod lets you use armor pieces to get the different transformer character’s apperance. By pressing “C” you can transform yourself from a robot to a vehicle. Then if you hold down “X” you go super speed! By the moment, this mod, lets you to craft up to 5 different armors, which will let you turn into different types of vehicles like to kinds of cars, an aeroplane and a tank. This mod is in beta so you may find some bugs. How to install Transformers Mod for Minecraft 1.7.10? Double click on the download file to Run forge installer. Up to 5 Transformers for your character in Minecraft!